You see, for a while now David had desired a wooden arm chair for comfort and practicality. He appreciated that the bare wooden arms don’t get soiled over time as fabric arms do (a brilliant example of form following function). David also wanted to create a tea table for two in his condo. But where could he find a similar chair? 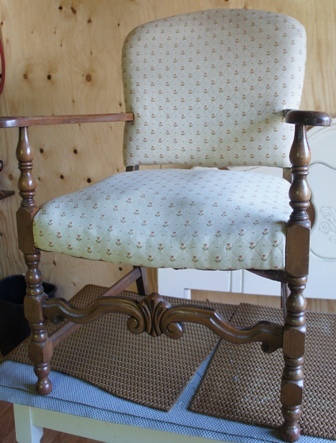 At Ontario Thrift, David spied a similar wooden arm chair and got a great price from Osman and his lovely wife. Next David called Bespoke Upholstery (my custom reupholstery business). I met with David, helped him choose fabric** for his newly acquired chairs and gave him a very competitive quote for complete reupholstery with all new high quality materials, wood frame tightening, cleaning and polishing. 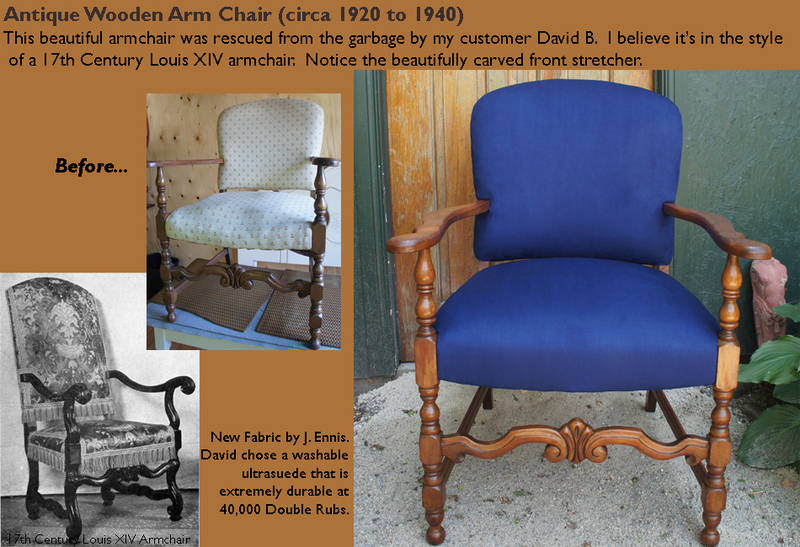 Now, David has two restored chairs – far superior in quality than anything new available in furniture stores today. Dickens would have been proud! *I got an industrial sewing machine there for $200 – it’s sold elsewhere for $800! And I adore my elegant silver teapot which pours ever so Downtonly – a steal at $10. **David selected an Ultrasuede from J. Ennis Fabrics in two of his favourite colours. 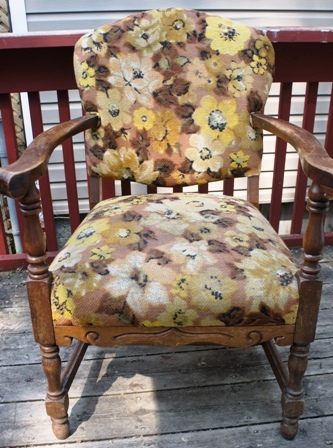 This entry was posted in Antiques, Craftsmanship, Design, Fabric, Furniture, Interior Design, J Ennis Fabrics, Reupholstery, Thrift Stores, Toronto, Upholstery and tagged Charity Shop, furniture value, j ennis fabrics, reupholstery, Thrift Store Find, Toronto, upholstery. Bookmark the permalink.